GB-Sol is a privately owned, award winning, independent UK company, manufacturing solar PV modules and mounting systems at its spacious premises just north of Cardiff. GB-Sol has been at the forefront of solar power generation for several decades. Today, we continue to lead in the application of solar through our stunning roof-integrated solar power systems, PV slates and custom solar.  At GB-Sol, we manufacture our PV panels right here in the UK. This gives us the unique opportunity to provide bespoke and unique panels to almost any specification. Back in February, GB-Sol provided free PV Slate installation training to pupils from a local youth club. This was for a project they'd designed - a digital bench to provide shelter to the homeless and also facilities to charge mobile phones. Impressed by such an innovative idea, GB-Sol donated the PV Slates as well as a whole kit including batteries, charge controller and made special double USB charger and a 12 volt adaptor, to supply 24 hour power. This week, GB-Sol had a special visit from pupils at Hawthorn High School. Working with Newydd Housing Association, they are designing a digital bench at a Pontypridd Church. It will provide a sheltered place for the homeless to sleep, and include USB charging facilities powered by solar. The students brought along their roof frame and GB-Sol’s PV Product Manager, Lloyd Symonds, taught the school pupils how to install the PV Slates. These were fixed to the South elevation with natural slates on the opposite pitch. A special charging pack was designed including two USB ports and an LED light. This will be connected to a battery to allow use of the electricity outside of daylight hours. GB-Sol work on all sorts of unique projects, if you’d like our can help with yours, please get in touch.